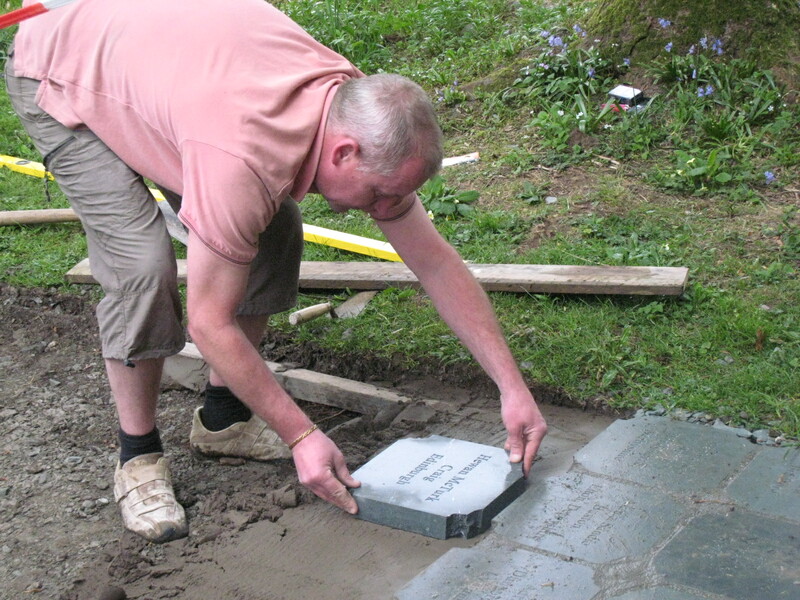 Was walking along past the church in Grasmere when I spotted new stones being laid in the Daffodil Garden. This only happens a few times a year. 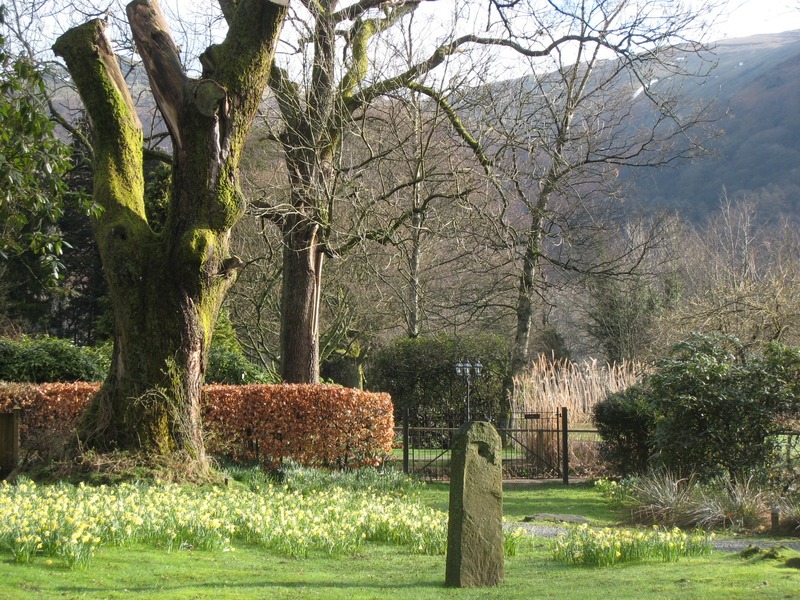 Laying stones, Grasmere Daffodil Garden. Grasmere Daffodil Garden opened in 2003. A piece of waste land near the church was chosen to try and emulate Wordsworth’s famous poem. When all at once I saw a crowd, a host of golden daffodils. The plan is to have 10,000 wild daffodils blowing in the breeze. The idea of the garden is to raise funds to promote the heritage of the Vale of Grasmere and it’s traditional ways of Lake District life. 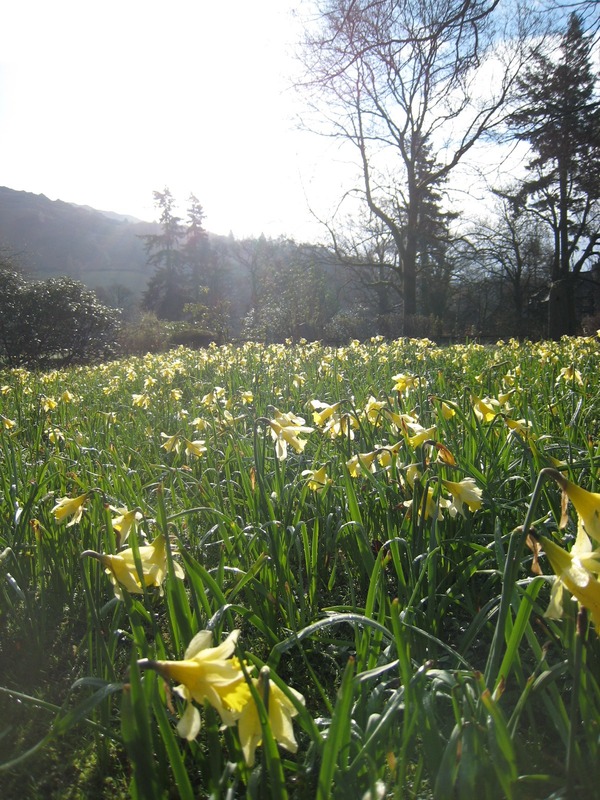 This is achieved by selling Daffodil bulbs, which mean you can put down “some roots in Grasmere” yourself. 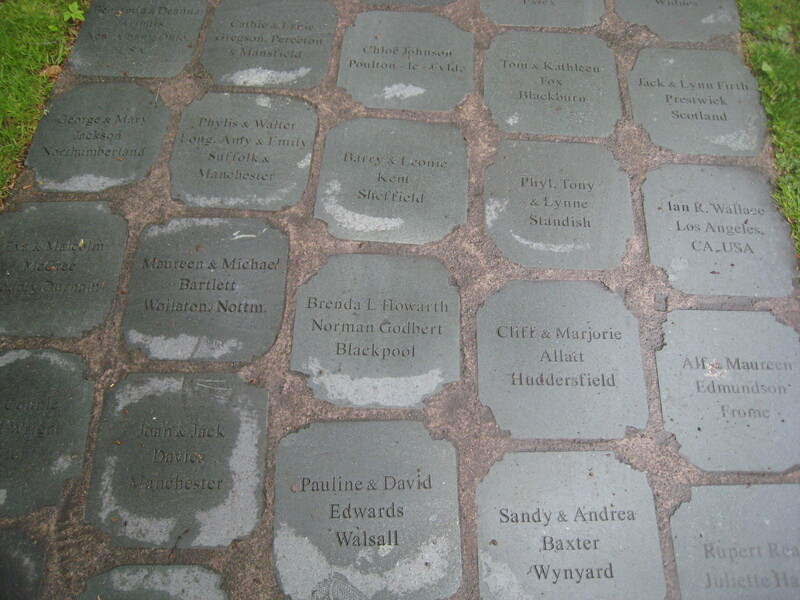 You can also buy a stone which is engraved with your name and home town. This is laid in the form of a path through the garden. Once the path is finished, sponsorship closes. 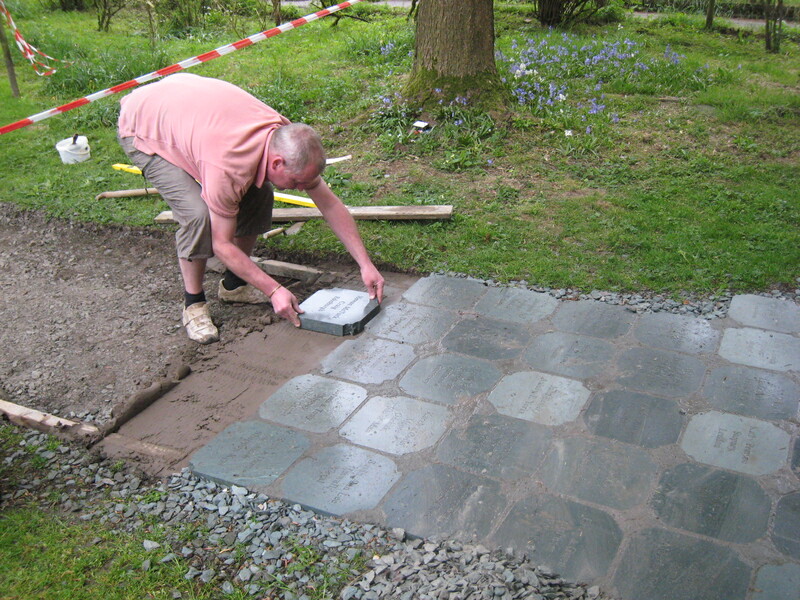 The stones are made of Lakeland slate, and tend to be bought by people who have a fondness for Grasmere. 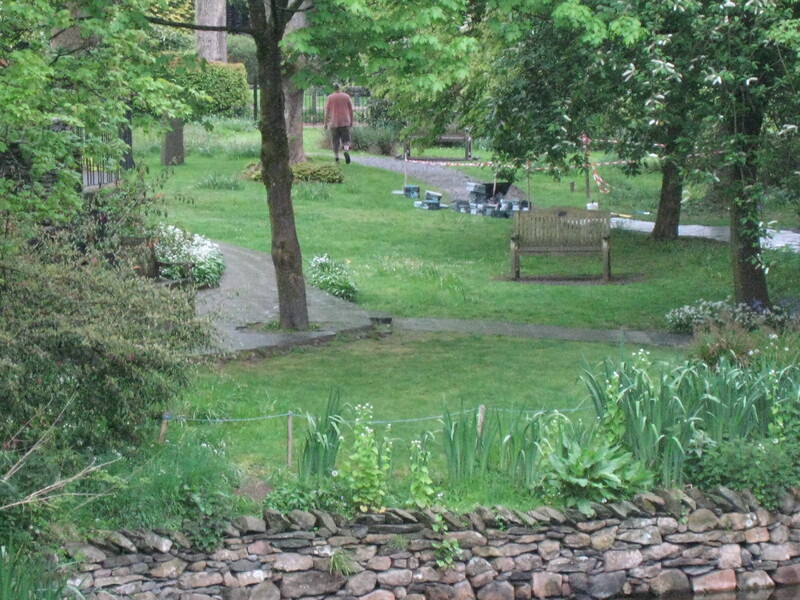 It isn’t a memorial garden, more a celebration of Grasmere. Donors names are entered in the Book of friends displayed in St Oswalds Church. The charities sponsored by the garden are, The Friends of St. Oswald’s. St Oswald’s church has over 100,000 visitors per year which obviously takes it’s toll on the building. The money helps to pay for it’s renovation and maintenance. St Oswald's overlooks the garden. Another charity to benefit is The Lakeland Housing Trust. Because so many houses are snapped up as holiday homes, it becomes more and more difficult to find affordable housing for locals. The Trust buys and lets homes to young families at a subsidised rent. 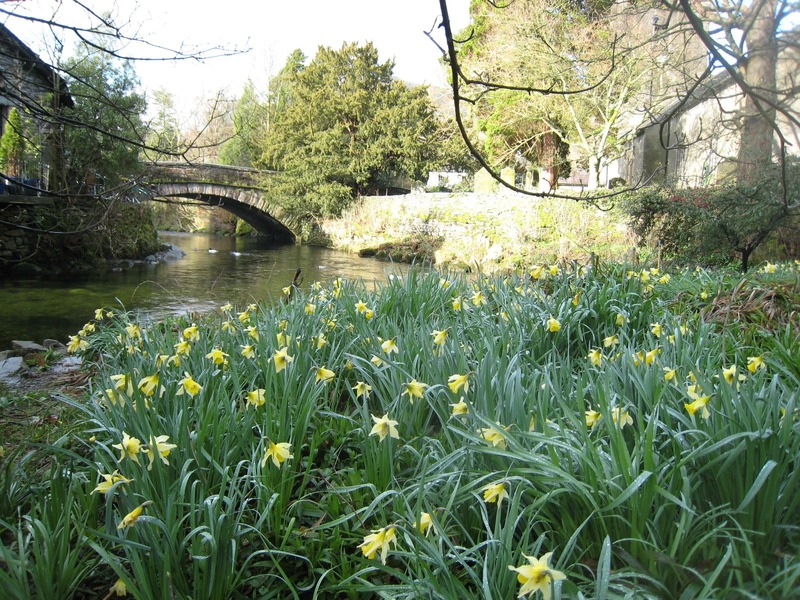 River Rothay from Daffodil Garden. 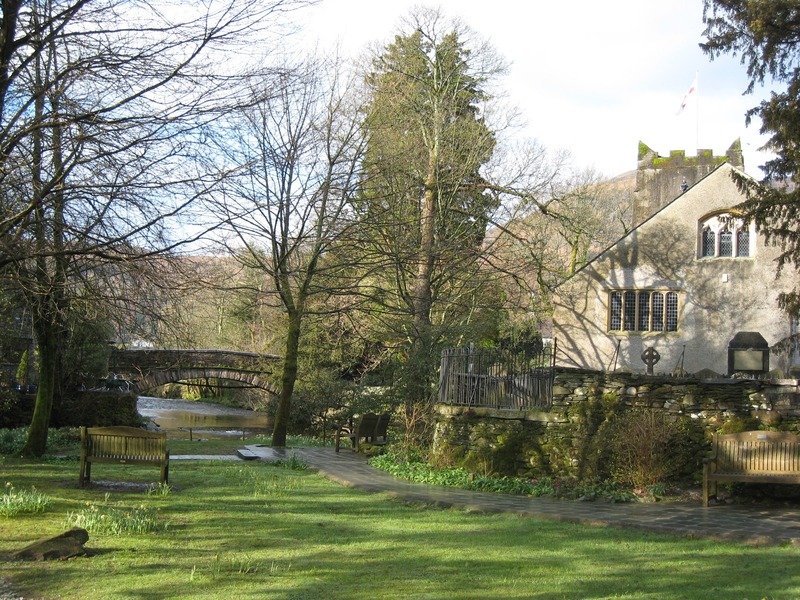 The Wordsworth Trust is another beneficiary, helping to preserve the literary heritage of the poet’s bond with Grasmere. His grave overlooks the garden. And finally, The National Trust gets donations to help farmers to maintain country features which would be difficult otherwise because of low hill farm incomes. 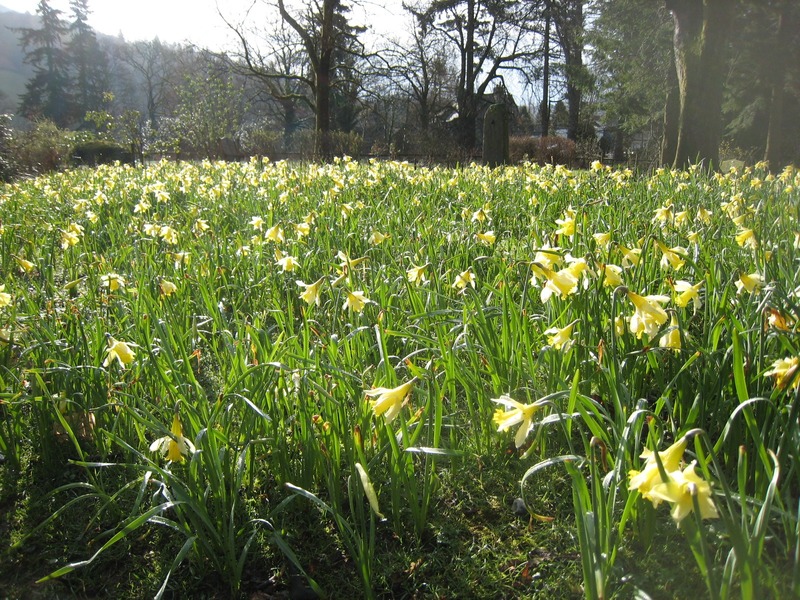 So the next time you are in Grasmere enjoy the peace of the daffodil garden knowing that it is helping preserve the beautiful Vale of Grasmere. What a thoughtful idea. http://www.friendsofgrasmere.org is how to do it on line. If you have any problems let me know and I can pop a leaflet in the post. She will get so much enjoyment from it, it’s a lovely place. Please could you tell me how we lay a stone in the daffodil garden? My wife found out she had breast cancer on her 50th birthday, she’s recovering thankfully. Thirty years ago this Easter I ask her to marry me, we were in the Lakes, a place dear to her heart and to one we have paid an annual visit to ever since. Am sure all stones have been bought but daffodils still available. Here is the link http://www.friendsofgrasmere.org/ wishing you both best wishes. Yes all the stones have now been purchased.